Being far away from the development of the urban area should not stop you from being efficient in your energy usage. Especially so if you happen to have been adopted by big corporation such as SESB (Sabah Electricity Sdn Bhd). Energy efficiency is what we want to drive home to the younger generation and SESB did just that to the school children at SK Randagong in Ranau. SK Randagong - children will learn about energy efficiency early. InsightSabah photo. Called Energy Efficient (EE) Light programme, SESB started the initiative off in the rural area by 'acting' rather than 'preaching'. SESB came to the school and changed all its conventional light bulbs with energy saving LEDs in September last year, and helped reduce the school’s electricity bill by about 30% the next month. The less-than-expected saving is probably due to power consumption by other appliances that are not energy efficient. 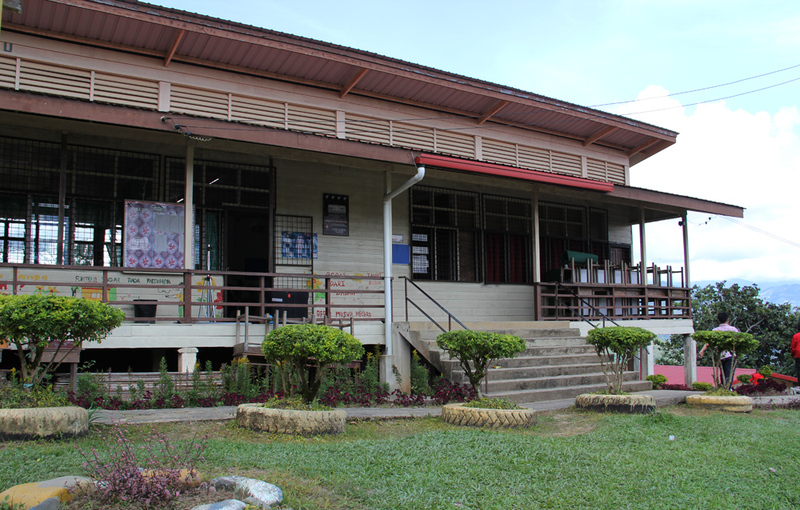 The total cost of changing all 35 lights at the school is RM5,350 which works out to be about RM135 per unit. A check with online retailers shows that LED tubes will set you back at RM130 to RM190 per set. Comparing this to the conventional fluorescent tube which is retailed at about RM14 (36 W), it is still a very expensive affair at the current market price. But life span of LED lights are also about 10 times longer and are brighter, plus there is virtually no heat generated compared to incandescent/filament and conventional tubes. Coverage by local dailies, DE, NST and BP was not conclusive as to whether SESB replaced all lights with LED tubes, compact fluorescent tubes or combination of both but looking at the cost involved, I'm convinced they are LEDs. Efficiency. Energy savings from 50% to 70% compared with conventional technologies result in similar cuts to carbon emissions. Controllability. Better control over light colour, intensity and direction allows lighting system designs that can deliver a wide range of social co-benefits. Outdoor LEDs offer improved visibility for pedestrians and traffic, as well as reduced light pollution. Indoor LED smart control systems have been shown to improve student behavior and study performance. Lifespan. Well-designed LEDs are expected to last for 50,000 to 100,000 hours or more. Lifespans can be extended even further by coupling LEDs with smart controls. SESB should not stop there. Move on to other schools, higher learning institutions, and collaborate with other GLCs or even local authorities. Get the involvement of the people. Involvement would instill the sense of belonging. Thumbs up and many thanks, SESB! * LED June 2012 Report by The oClimate Group. Saya pun sdh mula berjinak2 dgn LED lightings ni. We could get a very good view if you post this picture again with LED lights on during night.